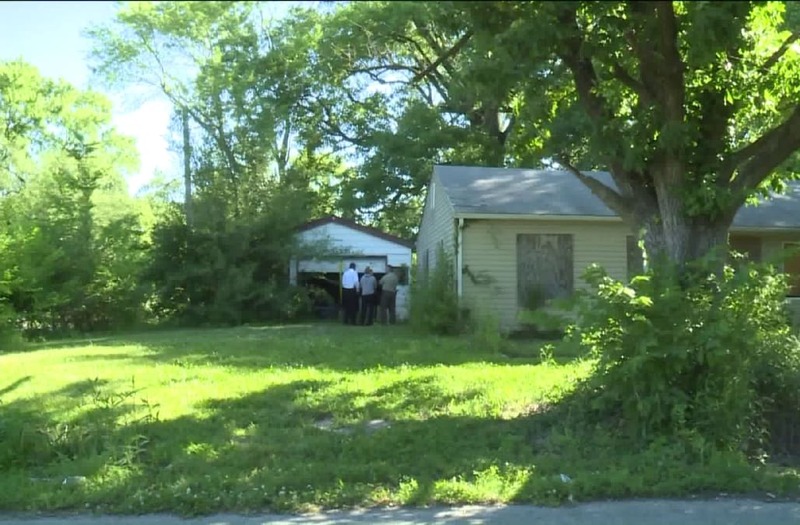 CENTREVILLE, IL (KTVI) - Police say they discovered human skeletal remains in a garage around 4am. Detective sergeant Demarius Thomas said a person called Centreville police Tuesday morning saying they could find human remains in a garage at 7201 Russel avenue. The home at that address is vacant. The St. Louis Post-Dispatch reports that the child's mother, who currently lives in Las Vegas, was the person who called the tip into police. She said the child died in 2015 at the age of 7-years-old. Officers contacted the property owner who opened the garage. The St. Louis Post-Dispatch reports that investigators found the remains of a 7-year-old child wrapped in blankets. Police are trying to determine if the child died from a homicide or natural death. Sgt. DeMarius Thomas Sr. says he believes that the child was killed in Belleville and dumped in the garage. County Coroner Calvin Dye Sr. tells the St. Louis Post-Dispatch that the child was in such an advanced state of decomposition that they could not determine the gender. Illinois State Police are assisting in the investigation.​ They have no reports of missing children matching the description of the remains from Belleville or Centreville. They are awaiting results of an autopsy scheduled for later this week. A woman in Las Vegas reportedly called police and told them a child's remains could be found in the garage of an Illinois home.